You'll have to go to the pages of the Boston Herald to find out what it is. Sorry! Here's the link that will get you where you need to go. In the meantime, I'm going to go out and buy a few jugs of dill pickles just in case the Pulitzer committee decides I should get my prize now. P.S. The photo of dill pickles came from here. Maybe if he wins a Pulitzer before I do, he'll serve you some pickles. If so, mazel tov! The sports people have done it to themselves, oversaturating us until we don't care any more. How sad. Based upon what Craig said, I remember where the Atlanta Braves were before they moved to Milwaukee... and, of course, where the Oakland Athletics played before they move to Kansas City. That, and I remember where the Rams played before they became the NFL's traveling team. OMG... I think that means I might be getting old? Well... the good news is that you'll have another opening day to get excited about (or not) because of all this snow. 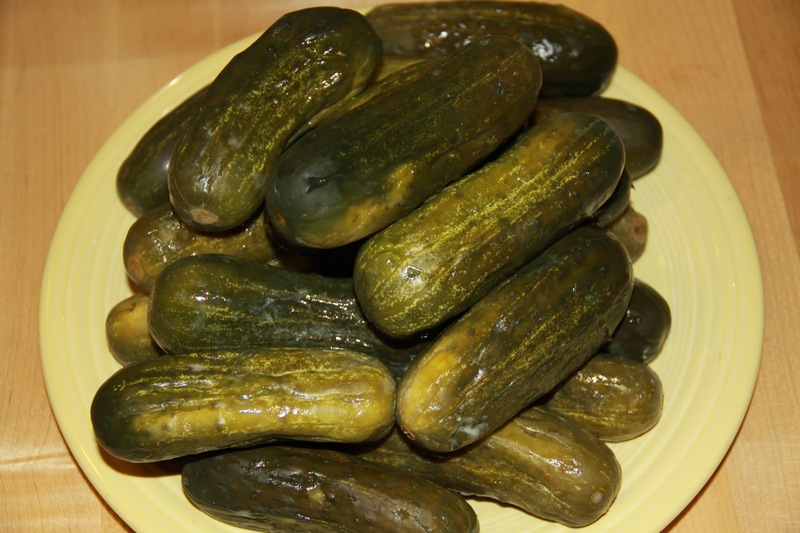 Now, the real question is... will there be bread and butter pickles as well??? Irony. I "watched" the game. And by watch, I mean I joined a few neighbours who included me in their get together to watch their highly-anticipated opening game between our Jays and your Sox.